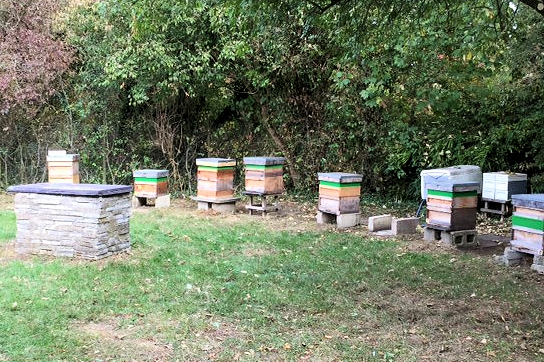 The OBKA Apiary is located in, and with thanks to, the Marlborough School in Woodstock. 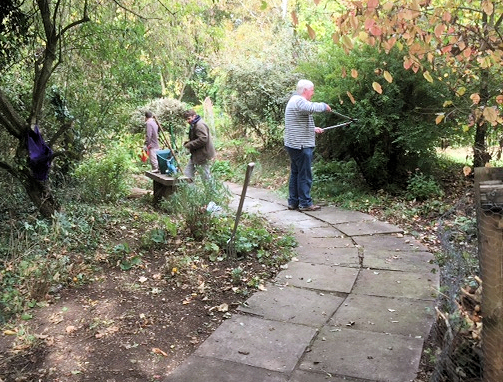 As part of the quid-pro-quo for having the Apiary we have regular sessions where OBKA members tidy up some of the gardens within the grounds of the school - and of course also do a bit of tidying of the Apiary site as well. 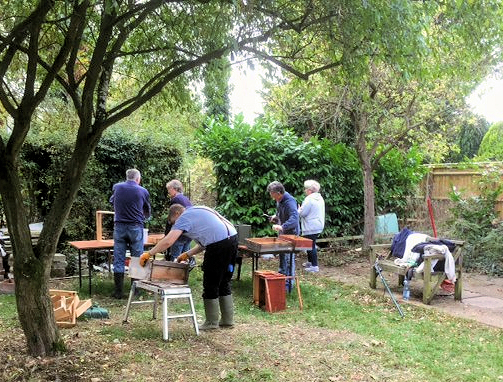 The last such session was on Sunday 30th September 2018 when some 10 Members spent the morning digging, cutting and pruning. The ground around the hives in the Apiary was also tidied up and is now looking quite neat! Their reward was some tea, biscuits and soup. A good days work and thanks from the Committee to all who came along. 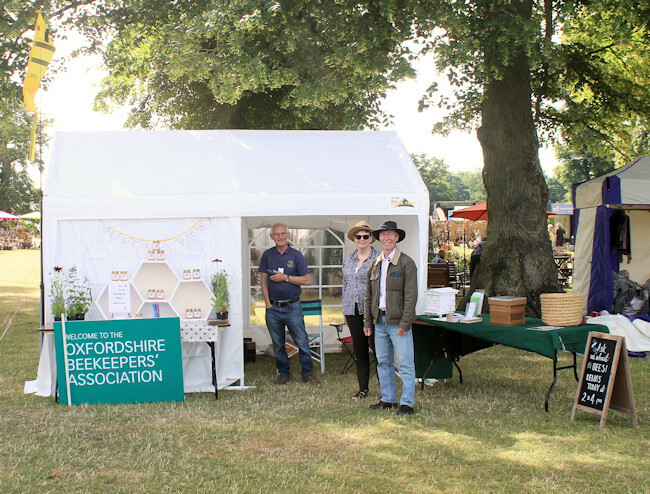 OBKA had a stand at the Blenheim Flower Show (22 - 24 June 2018). In addition to answering lots of questions about beekeeping and the Taster Day we also sold all the honey we took from the OBKA Training Apiary raising £414 for Association funds. 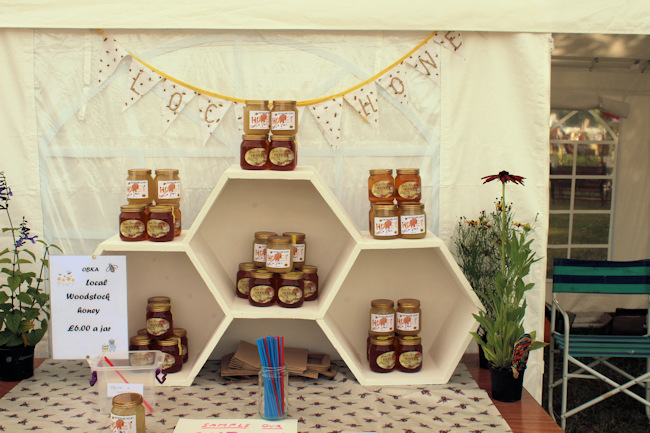 In addition one of the stand helpers also managed to sell all their honey. If you would like OBKA to have a stand at your event please fill in the form here.